Do you care for a child or young person aged up to 25 with special educational needs or disability? Do you want to do something to improve your health and well-being? Parent carer health and well-being is often overlooked. 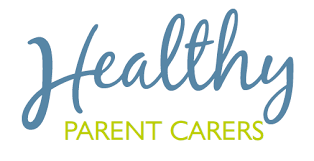 The Healthy Parent Carers programme provides information about simple steps that parent carers can take every day to improve their health and well-being. It has been designed with parent carers. Parent carers are invited to take part in NHS-funded research to compare different ways of accessing the programme. If you sign up to participate, you will be allocated to either online information or weekly group sessions. Parent carers are very busy, but can you give yourself some time for you? This research is led by the PenCRU childhood disability research group with parent carers in the Family Faculty and the Council for Disabled Children.